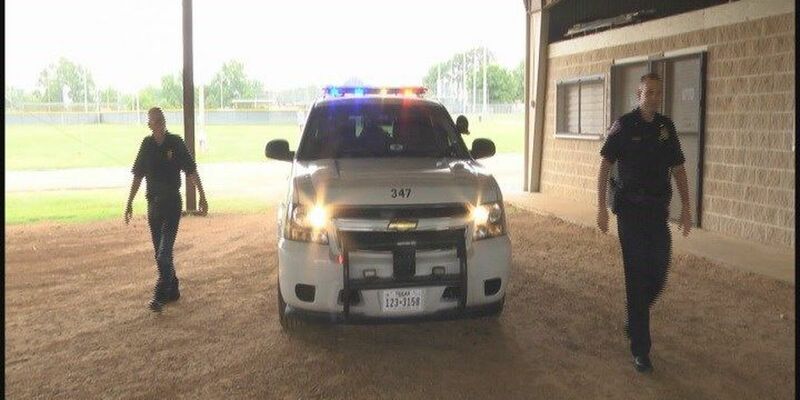 TITUS COUNTY, TX (KLTV) - Rockie Simpler is not a peace officer, but a man of the cloth. Still, his ministry puts him alongside Mount Pleasant police officers -- armed only with the word of God. "This patrol car is my church," Simpler said. "I use it as a tool to go out and help people with the Lord. I use it to help somebody who has a problem and a need." Simpler is among the 30 Titus County ministers of various denominations who are enlisted in the Clergy And Police Alliance, or C.A.P.A. They participate in regular patrols and volunteer for an on-call rotation after completing a six-week training course. Ministers are given an inside look at the duties of law enforcement officers and an overview of the criminal justice system. Clergy ride along with officers, serving as a calming presence for victims of wrecks, criminal case suspects, and even protect children caught up in family violence. Volunteers often break the ice by giving children teddy bears or pieces of candy. "They're able to go in and comfort those children (and) sometimes turn their head when we have to arrest a parent to keep them from seeing a parent put in handcuffs," said Kyle Holcomb, Mount Pleasant Police Department's assistant chief. "We don't like doing that as police officers." Simpler even visits the county jail to check up on those he meets while on patrol, praying they might choose a new path. One individual's turnaround in life is something Simpler said he is proud to have witnessed. "(He) was pretty much not paying a whole lot of attention, It was) just something to get out of the cell, I think. But before that was over with, he asked me if I could come back and visit him because he had no family that would come up there. So I did. And he started going to our church, when he got out." C.A.P.A. volunteers take these experiences back to their congregations, providing new ideas for other ministries. It's a way to reach those in most need of a helping hand. "A lot of time as a police officer, you go on a call and there's nothing that we can really offer to the people," Holcomb said. "There's no crime that's been committed. They just want some help, want some advice, and that's where CAPA is able to reach in and provide that service to the people in the community and then that also gives that officer the feeling of 'I've been able to accomplish something here, after all.'" The program also forges partnerships with various groups and communities in the area. "Anytime we can put religion into our community, the better we're going to be in the long run, because religion teaches good will toward all men, to treat each other fairly," Holcomb said. "Why wouldn't we as police officers or citizens want that being encompassed into our whole community?" Officers also form a close bond with clergy, with conversations often turning to family and spirituality. Volunteers also provide a listening ear for officers who need help unwinding after a stressful situation. Members of C.A.P.A. have accompanied family members of fallen officers during services and memorials in Austin. Simpler even performed the wedding ceremony for his patrol partner, Officer Cory Fox. "We're family," Simpler said. "They drove me into their family, but I've brought in the family of the Lord into their life too. So we're helping each other." Logging more than a thousand hours on the streets of Titus County in just more than year, Simpler says the C.A.P.A. program is changing the heart and soul of his hometown. "God's given me a good tool and the City of Mount Pleasant PD is it. And I'll stay here until they run me off." Mount Pleasant's C.A.P.A. program was introduced in 2014 by Chief Wayne Isbell, who previously worked for the Arlington Police Department. Law enforcement agencies from around East Texas and even as far away as Charlotte, North Carolina have inquired about the program, according to Isbell. C.A.P.A. received recognition from the Texas Police Chiefs Association in 2015 and the Texas Municipal League Association in 2014.